Born 3 November 1854, Takaoka City, Japan. 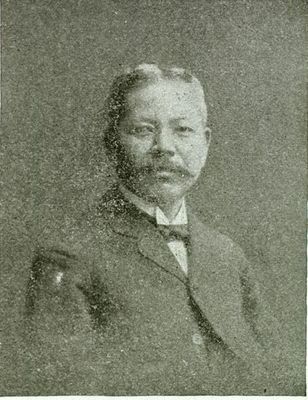 Jokichi Takamine (1854-1922) was a Japanese biochemist who successfully developed and patented two major drugs of the twentieth century: the first was a microbial enzyme which was used in the distilling industry and also for medicinal purposes, and the second was form of synthetic adrenalin. He was educated in Japan but undertook postgraduate work at the University of Glasgow and Anderson's College. Born in 1854 in Takaoka City, Japan, Takamine studied at the College of Science and Engineering at Tokyo where he was selected to study technology at the University of Glasgow for one year. He also spent time studying at Anderson's College which is now known as the University of Strathclyde. He left Scotland to return home to Japan in 1883 and started work with the Japanese Department of Agriculture and Commerce. He later moved to the USA and established a research laboratory in New York applying "Japanese technology to a Western industry". He filed the first patent on a microbial enzyme States (a fungal amylase) in the United States in 1894 and in 1900 he filed a patent for a purified hormone (epinephrine) known as adrenalin. Both were ground breaking developments and helped to establish Takamine's reputation as a leading biochemist who played a major part in developing the bio tech and pharmaceutical industry in the US in the twentieth century.